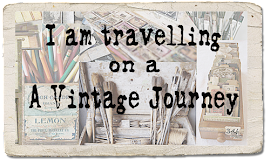 Hello and welcome fellow travellers, Anne here and I am delighted that it is my turn to host the next challenge at A Vintage Journey. I have chosen 'All About Him' as my theme. 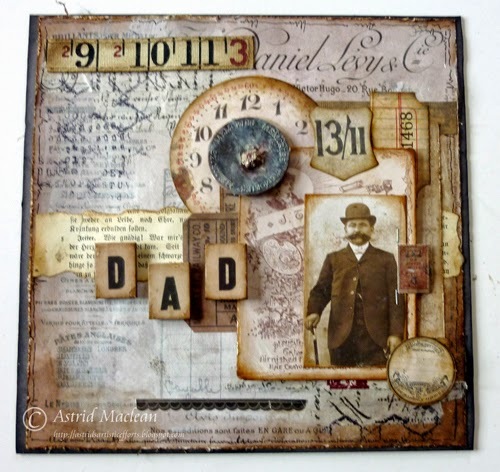 Men are usually difficult to make things for but with Tim Holtz's range of stamps, dies and accessories it does make life so much easier! So with Father's Day just around the corner, this is a perfect chance to create something. This challenge is to make a card/tag/3D or any other type of project specifically for a man, using Tim's techniques or products wherever possible. 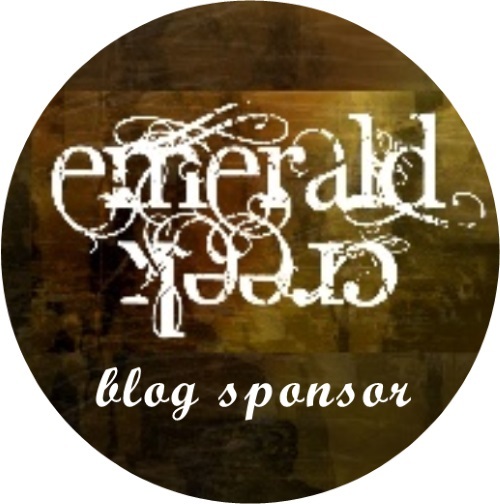 At A Vintage Journey, we ask that the name of our current challenge theme and a direct link to that challenge be included in your blog post. 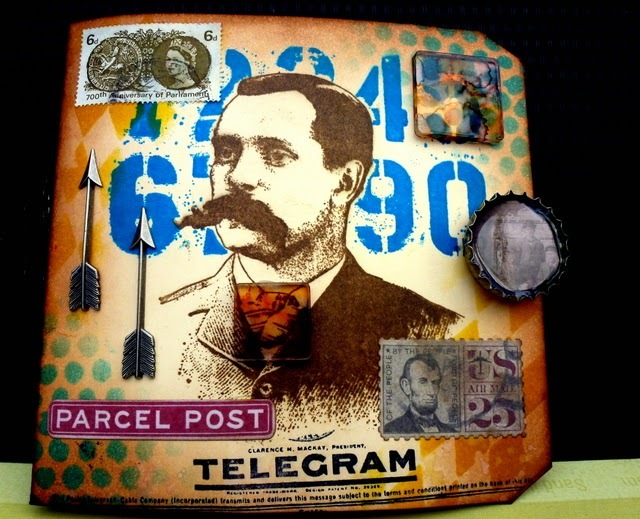 There is so much beautiful art to be shared in our blogging world, but we are a Tim Holtz inspired challenge blog and we need to see a strong Tim Holtz influence using his techniques, projects, ideas or products. Please take a few minutes to look at our Traveling Instructions and also visit Tim's Blog for further inspiration. The other Creative Guides (DT) have made some wonderful pieces to inspire you. Our sponsors, Country View Crafts are offering a £10 gift voucher to spend, to one winner who will be chosen by the team. My DH is cycling mad and he is thrilled that the Tour de France will be starting in Britain again this year. We will be travelling to London to see them at the finish of the British leg of the Tour. I made this memento using Tim's dies, stamps, embossing folders and papers and the wonderful new Letterpress. You can see it in more detail over on my blog. 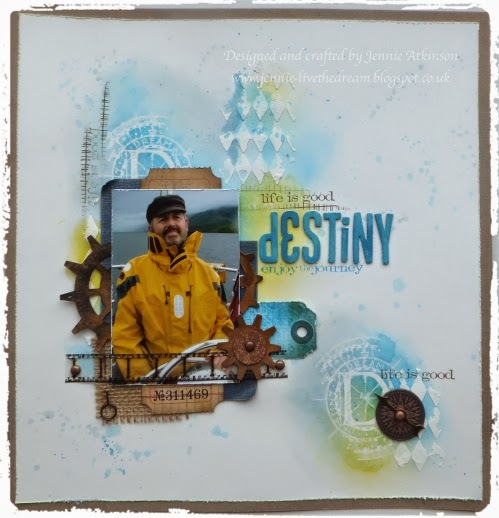 I love making my own background paper for scrapbooking, so for this challenge I decided to scrap this photograph of my husband at the wheel of our boat and create a background taking the colours from the photograph - naturally Stormy Sky and Salty Ocean Distress Inks! the Harlequin Mask (representing tidal diamonds) and that wonderful Compass Stamp. I have used loads of other Tim stamps, die cuts and products to finish the layout which I am sure you will recognise! For this challenge I've concentrated as much on Tim's techniques as his products. My tag base is made using his rusted enamel technique which has been stamped and a fragment feature using his tinted vision techniques - both can be found in his first Compendium of Curiosities book. The addition of an On the edge die, Chit chat stickers and ephemera completes this story. 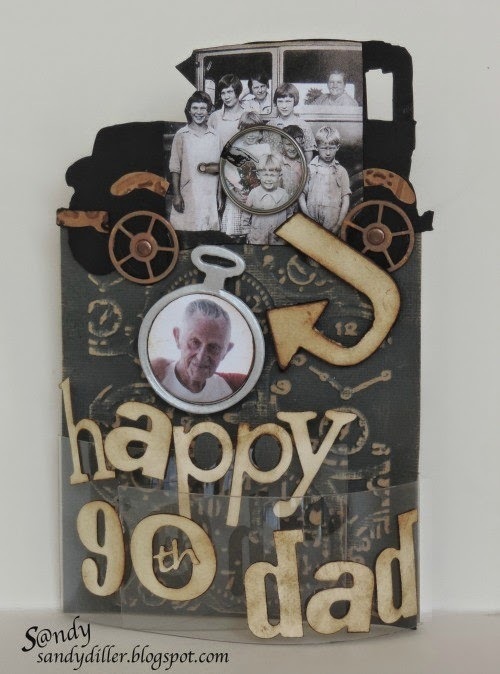 Anne couldn't have chosen a better theme - this month we are celebrating my Dad's 90th birthday so this is "All About Him". I used one of my favorite old photos showing my Dad as a child. It just so happens that this photo was taken with an Old Jalopy (my Grandfather's first car). I used lots of Tim things here starting with the Old Jalopy Die, scaling my photo to fit, and highlighting my Dad as a child with the Monocle. I used the Mini Pocket Watch to show how he looks today. 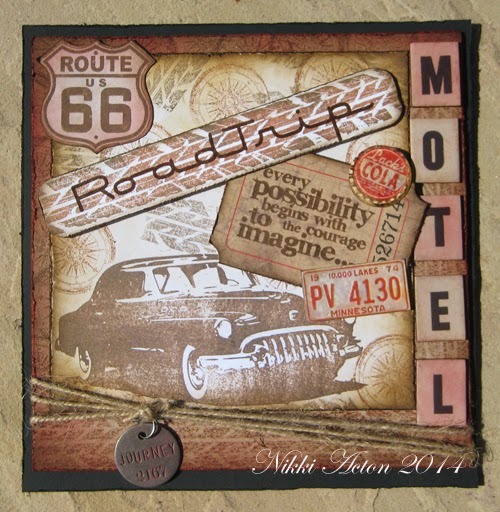 You will also see the use of Texture Fades, Gears, Alfa Parts and letters from the Wordplay Die. With Father's Day not that far away, I decided to make a LO honouring dads everywhere in the world. I used a photo from the found relatives by the lovely Tim, but it could of course be easily replaced with a photo of your own dad. I had great fun playing with some of Tim's wonderful ephemera and there is a full description on my blog. I was so thrilled that Anne chose "All About Him" for challenge #6 as not only is Father's Day fast approaching, but even faster is my husband's birthday. This wooden box has been hanging around collecting dust and I decided to alter it and this box will soon be used to contain those annoying TV remote controls! 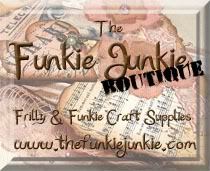 For this box, I used some of my new stamps, stencils, paints, dies and embellishments all by Tim! Stop on over for all the details. I really enjoyed making this male card, which includes masking, alcohol inks on fragments, Tim Holtz smudge stamping technique and lots of stencilling in various DI's. Layering is such fun and makes the colours 'pop', especially when you define the edge with a dark Distress Ink. I hope you will enjoy creating something for this 'All about Him' Challenge after seeing the wonderful creations from my fellow Creative Guide team mates. Please be sure to read our Travelling instructions (challenge guidelines). We are all looking forward to seeing your entries. Have a wonderful week-end everyone and lots of fun I hope. What amazing creations from one and all - a fabulous array of inspiration... will be hopping round for a closer look very shortly! Everyone's pieces are wonderful! So creative! Awesome creations from the DT. Some great inspiration from the team - just discovered this blog so am now following. A great challenge Anne and wonderful pieces for inspiration from the Design Team! I've just loaded my 'Just for Him' tag! Gorgeous creations by the Creative Guides!! Can't wait to get home so I can play along, fabulous inspiration everyone!!! What amazing pieces! I had so much fun going through them all! Very talented team! I am going vacation (going to OH to the Create class to take classes with Tim for my first time. I will be back to play along with you guys next time. Thanks for the kind words on my tag! Another super selection of DT work, just managed to join in before closing, where is the time going! Today's special guest is Marjie!